Thank you for your interest in the Bravo Youth Squad. At this time we are not accepting new members into our youth squad but please check back for more updates in the future. 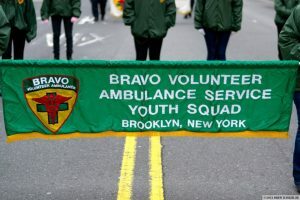 For all inquiries about the youth squad, please email youthsquad@bravoambulance.org. It costs BRAVO over $200,000.00 to purchase and equip each new ambulance, not to mention our administrative costs. Because of your support, BRAVO is able to provide FREE pre-hospital care..